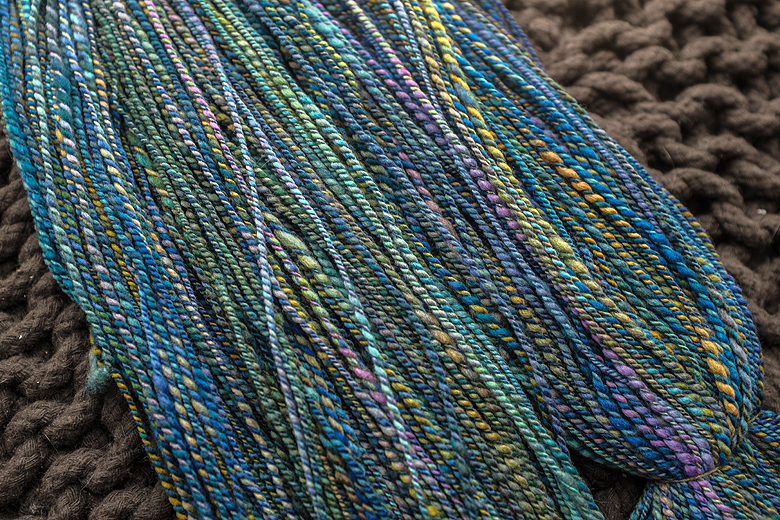 A while ago, I brought home this lovely braid from a friends destash: Julie Spins Ultrafine Merino in a colour called ‘Stained Glass’. 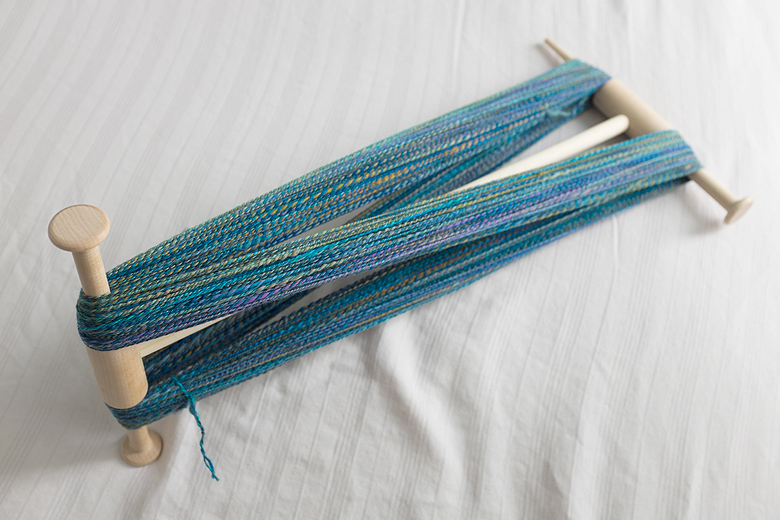 My spinning has definitely taken a hit lately, between knitwear design and churning out jewellery, but I finally found time a few weeks ago to get this spin off my wheel before it officially started collecting dust. I decided to just split it in half and create a 2-py. 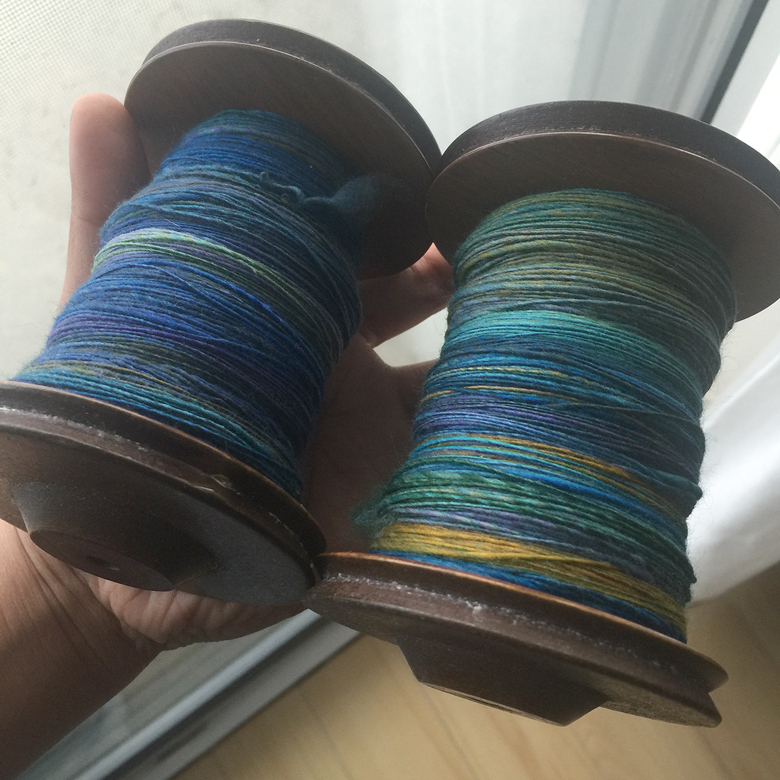 I wanted a relaxing spin, and didn’t try to keep colours together. I’m pleased to say that I had less than a yard left over on one bobbin after plying (due entirely to fabulous good luck and not even a little bit to the consistency of my spinning). I always love how it looks on the niddy noddy. 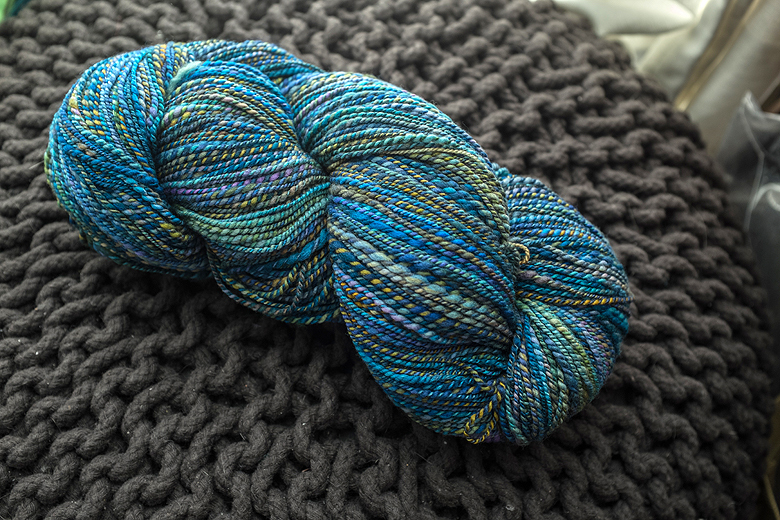 It’s the first glimpse of what the newborn yarn really looks like. And then you take it off the niddy noddy. And it looks about as attractive as a newborn chicken. 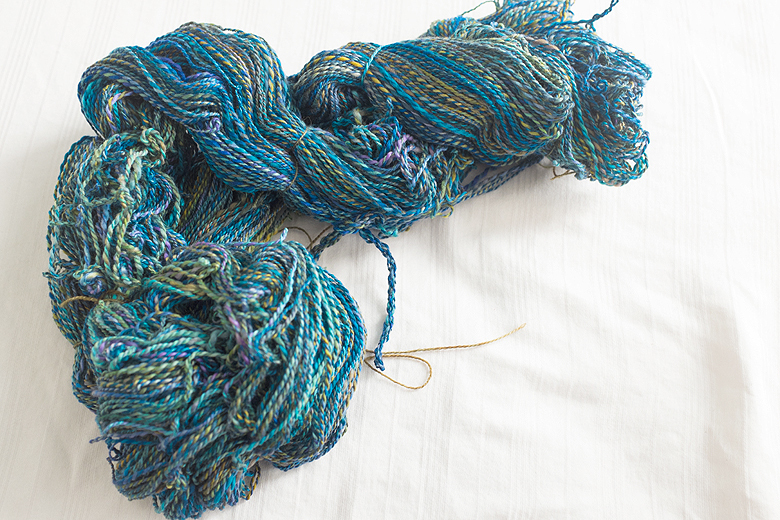 After a good soak, and vigorous thwacking and snapping (technical terms, I’m assured) the yarn evened out into a nice, fluffy 2-ply. I am delighted to say that I came out at 100g and 430 yards. Not bad! Now to figure out the right destiny for it. A warp? The body of ‘I’d Rather Be Cruising‘? What do you guy think? Gorgeous!! 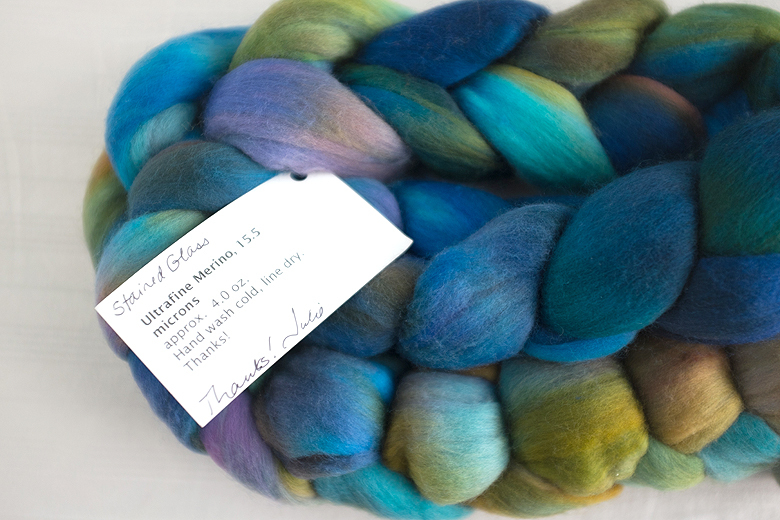 In anything Shireen….just wonderful colours! I hope you’ll tell us how we can buy some!